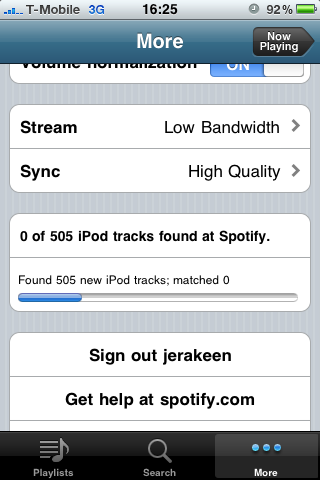 Spotify leaking my iPod library? What exactly is going on here? It looks like the spotify app is sending my local list of tracks to their server to.. ‘match’ them? What am I getting out of this? And more importantly, why exactly didn’t it tell me it was going to send this stuff?